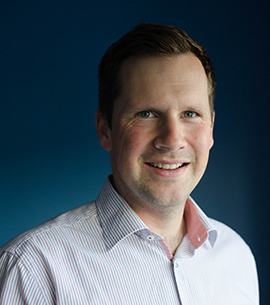 Chris’s main role within the InnoTech Centre is to enhance SME’s Industrial application of innovative technologies, and specialises in the IT sector. Chris has a particular interest in the research of how SME and Micro Businesses can harness IT for business growth. This is achieved through the creation of bespoke technical training solutions, providing business support to SME & business startups, through delivery of up-skilling courses. He has many years’ experience delivering R&D and Training in the areas of: Provision of training on Database creation and data management using Excel, Access, Filemaker Pro & SQL queries. Mentoring on web languages, CMS platforms & eCommerce solutions, such as HTML, CSS, WordPress, Joomla, Shopify, Magento Go. Provision of mentoring on implementing mobile technology for business: including cloud based business solutions, social media marketing, and mobile app based video & image editing. Provision of software training in graphic & motion design, photographic training, provide mentoring on applications such as Abobe Photoshop, Illustrator, inDesign, Premiere Pro, Lightroom, Final Cut Pro, iMovie. Branding & Digital Marketing advice. Surface and solid modelling using Solidworks, AutoCAD, Google Sketchup including training in generation of 3D design visuals. Improving the curriculum by feeding back industrial knowledge to enhance student learning & develop course structure. He has the University of Ulster, Jordanstown; an HND Software Engineering from Southern Regional College, Portadown (where he was awarded Computer Student of the Year) and a BTec Diploma in Engineering from East Tyrone College, Dungannon. Chris has completed a Post Graduate Certificate in Communication and was awarded the Ulster Farmers Union award for highest marks achieved. Chris was previously employed in a local Architectural & Structural Engineering Design firm where he specialised in Technical drawing for Engineering Structures and was involved in the research of 3D design & design applications. Further to this experience, he has a wealth of knowledge in Educational Training and Software Applications, employed for over 4 years by the University of Ulster as a Graduate Demonstrator, specialising in Web Development, Graphic Design and Computing. Within this role he developed and enhanced skills within the areas of Multimedia Design Applications, 3D Modelling & CAD, and Web Based Programming Languages. He was previously charged with developing South West College provision of training and dissemination of Rapid Prototyping and Reverse Engineering skills and knowledge, and enjoyed the advancement of the local application of this technology. previously attained; a 2:1 BSc (Hons) Degree in Interactive Multimedia Design from Chris has also been successfully freelancing in design and IT consultancy for many years and possesses a vast knowledge of IT Technology and Design Applications.